Many people associate diet with refusal from their favorite food. However, the fact that you're trying to lose weight doesn't mean that you shouldn't enjoy tasty food – more so when there's a pizza that you can cook in just 20 minutes and not worry about gaining extra pounds. a few thin slices of red onion. Preheat the oven to 375°F (190°C or gas mark 5). 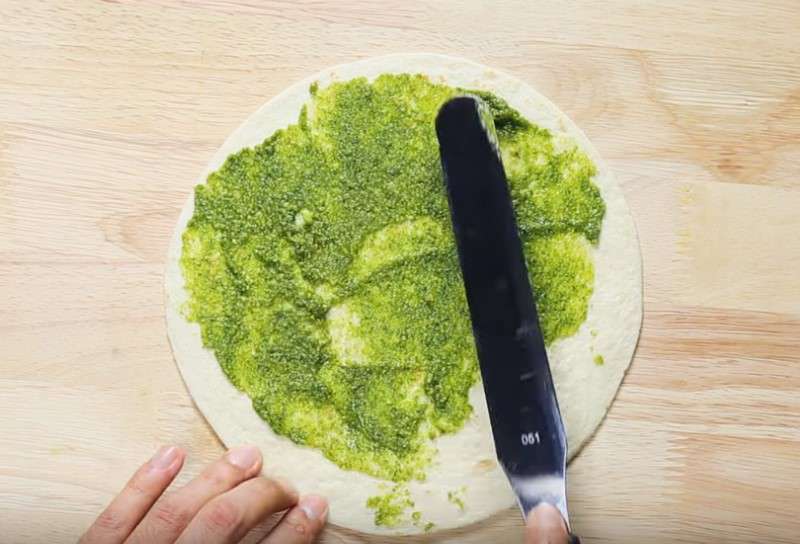 Spread the pesto mix over the tortilla, leaving a small border around the edges, then add the remaining ingredients on top. Put the pizza onto a baking sheet and cook for about 8-10 minutes. If you bake in using a specialized pizza stone, it will make it more savory and crunchy. Also, you can add some vegetables to your taste. The energy value of this delicious dish is just 239 kcal. Therefore, you can totally include it into your list of dietary recipes and not be afraid to gain weight. 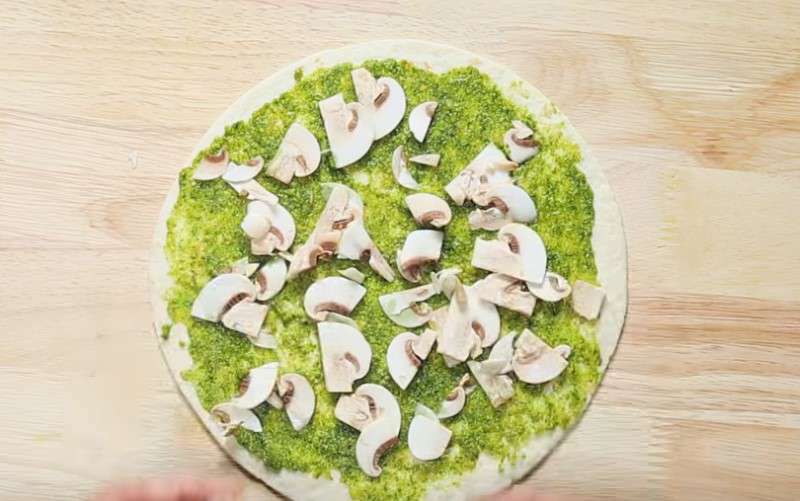 This vegetarian pizza will bring variety into your diet and keep you fit. As you can see, you can lose weight not only eating healthy but also tasty. Do you have interesting recipes you can safely eat when on a diet?